The light shines out through my glass and heavily gated door at the Greek Hovel. The moths just cannot resist and are drawn to it and what follows is a wholesale slaughter every night. 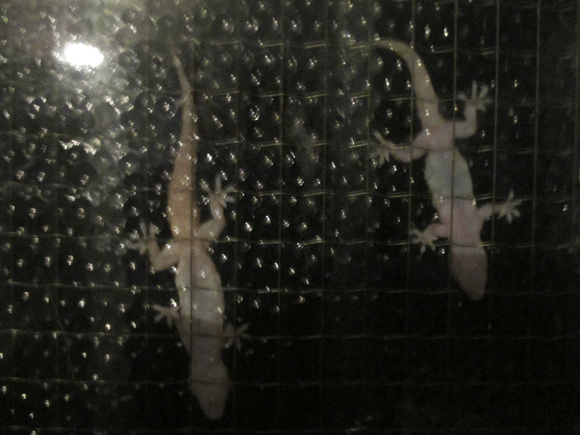 As I sit here there are four lizards on my door just sitting there waiting for the next moth. When it lands on the door they slowly creep towards it and …pounce. I can see them grab and eat the poor little things through the glass.